Was Raiders' Selection of Maurice Hurst 'Irresponsible'? For pure talent, Maurice Hurst may have been the best pick by the Raiders in the recent NFL draft. 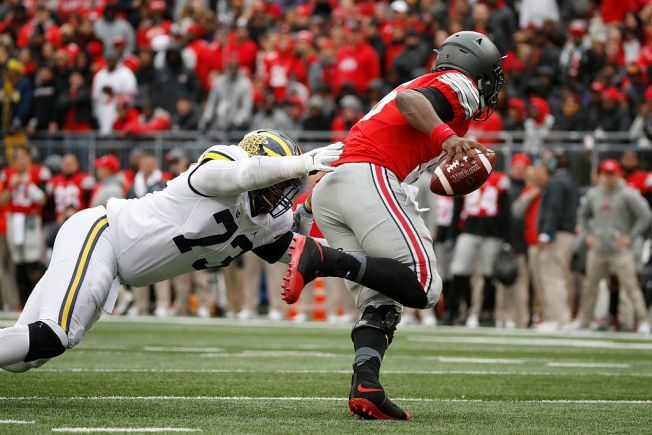 The former Michigan defensive tackle was selected by Oakland in the fifth round after Hurst – originally considered a candidate to be selected near the top of the first round – was discovered to have a heart condition at the NFL combine in February. Though doctors at the University of Michigan and Harvard later cleared Hurst to play, teams decided to back away from him and not take a chance. When the Raiders finally took him on the third day of the draft, some analysts labeled Hurst as one of the steals in the entire draft and predicted big things from him with the Raiders. Yet others around the NFL were critical of what the Raiders did. Yet Hurst – who wasn’t allowed to perform at the NFL combine but later worked out for scouts at his pro day – said before the draft that he knew “everything was going to be fine” with his heart condition after doctors checked it out. One NFL executive told Dave Birkett of the Detroit Free Press that Hurst’s condition is similar to the one diagnosed for defensive tackle Star Lotulelei before the 2013 draft. Lotulelei played five seasons with Carolina before recently signing with Buffalo. Defensive lineman Nick Fairley, a 2011 pick of Detroit in Round 1, also had a similar heart condition, reported Birkett, and is now retired from the game because of it. After drafting Hurst, Raiders general manager Reggie McKenzie said the team had done its due diligence on Hurst’s health. “The fact is that he does have a heart condition, but it’s a situation where he’ll get checked every year, but right now he’s good,” said McKenzie.